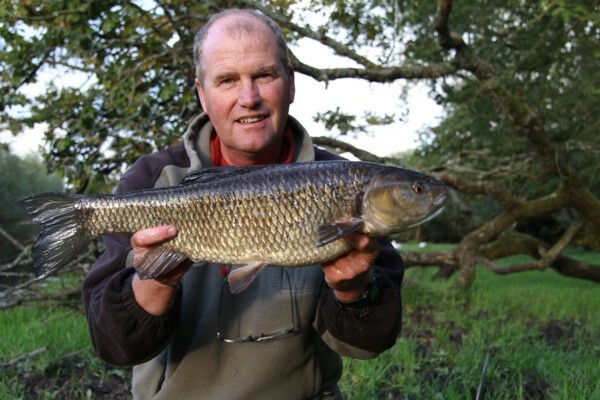 Believe it I’ve not fished the Hampshire Avon and Dorset Stour this season, being very busy on the river Wye and helping people catching a pb barbel. So the first session was on the Stour where the river looked so different from previous years. Weed growth changed considerably and a new learning curve.Some had grown in places never seen and others there was nil where there had been loads. A banker swim failed to produce in two hours. The river was up and coloured a little. I tried to walk out to bait the swim in chest waders but it was too deep and dangerous to look into the swim. The next swim had produced some good chub to over 6lbs in the past, and it was here where I caught 6 chub on a mixture of Source boilies and hallibut pellet. There were some good fish with the largest going 5lbs 1oz. I had baited with hemp via a bait dropper to get the chub going. So not too bad for start. After a good nights sleep in Ringwood and calling into Avon tackle to get a few pints of maggots. I arrived at a good swim and after baiting again with the dropper with hemp the chub moved in. I couldn’t see anything much above 5lbs and presentation of the bait was difficult so I moved to another stretch. Here the river was much the same crystal clear like tap water. Here again I baited with hemp and Source boilies. This I left for about 30 minutes while I looked at the stretch for potential other swims. On returning I cast out and I think I had a bite from a chub as one of the 10mm boilies went missing. Next cast produced a chub of 5lbs 12oz which fought really well on the 6lb line. It almost got into the withe branches on the far bank on a couple of occasions. Next trick was to put more bait in and in the next 30 minutes I had another much smaller chub of about 3lbs 8oz. So things were looking good. 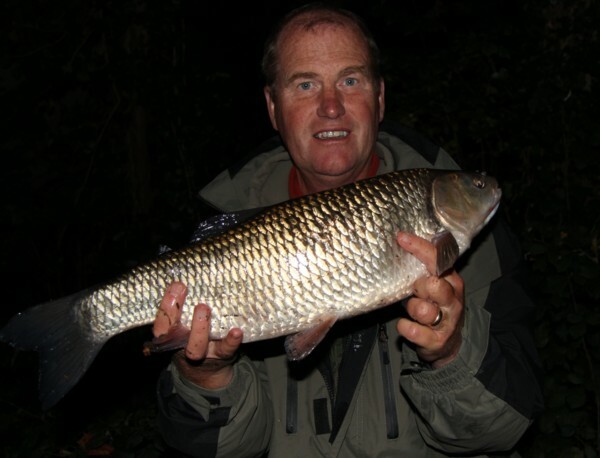 Next thing was to bait with maggots and float fish……..great a few small chub and some nice and welcomed 12oz grayling were the result. Not the big chub that come along. To be fair the wind was not helping and I couldn’t trot through as well as I would have liked. Back to the lead again and this time I caught a 5lbs 10oz chub which was in perfect condition. That was it for the day as my good lady phoned to say that we had a leak of water and coming through the ceiling. This focuses the mind somewhat-and a swift return home was made. So three 5lb plus chub from both rivers was a good result. Lets hope that I can return soon. So a lovely shot of the 5lbs 10oz chub. This entry was posted on Wednesday, October 3rd, 2012 at 8:50 pm	and is filed under Uncategorized. You can follow any responses to this entry through the RSS 2.0 feed. Both comments and pings are currently closed.